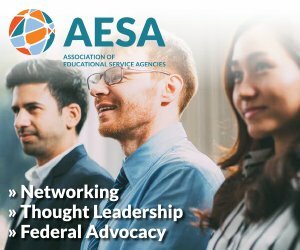 WASHINGTON, May 21, 2018 (GLOBE NEWSWIRE) — The State Educational Technology Directors Association (SETDA), the principal membership association representing U.S. state and territorial digital learning leaders, announced today its sixth annual cohort of Emerging Private Sector Partners. These innovative education technology startups were selected through a competitive application process and will be introduced as a cohort at the upcoming Emerging Technologies Forum on June 23 and 24, 2018 in Chicago, Illinois. SETDA’s unique Emerging Partners Program is designed to foster opportunities for startups to be seen and heard by state and national digital learning leaders. Throughout the course of the year, this program creates intentional, in-person and virtual opportunities to engage in meaningful dialogue regarding national or state trends in K-12 and higher education, as well as products and services that states and districts need. Over the next year, the cohort of Emerging Partners will also have the opportunity to benefit from interactions with education industry experts like Academic Business Advisors, ARC Capital Development, C. Blohm & Associates, Forward Thinking EDU, AWS EdStart Program, The National Center on Accessible Educational Materials (AEM) and other companies/organizations who also partner with SETDA. Link to the full press release on SETDA.ORG is at 2018 Emerging Partners Announced. The State Educational Technology Directors Association (SETDA), founded in 2001, is the national non-profit association representing the interests of U.S. state and territorial educational technology leadership. SETDA’s mission is to build and increase the capacity of state and national leaders to improve education through technology policy and practice. For more information on our Private Sector Partner program, visit: www.setda.org/partners/#!/emerging-private-sector-partners.